Lean is a set of principles, philosophies and methods used to develop and execute business strategy. Lean is founded upon integrity, trust and respect for people. It develops a culture which creates empowerment with engaged and motivated people to understand the importance of product or service provided by the organization. Lean is the application of lean thinking to specify value, to line up all the value adding activities for a specific product or service along the value stream, and to make value flow smoothly at the pull of the customer in pursuit of perfection. In short Lean is a way to create value for customer, enhance financial results and Banish Waste across the value chain. The objective of Lean is less delivery defects, short product or service lead time, less time to absorb new technologies, less time to respond to market shifts and lower capital investment in terms of space, tools, inventories, etc. Value : What the customer is willing to pay for a product or service which meets or exceeds expectations. Value Stream : Actions that add value to the product or service. Value stream links all steps in a process. Flow : it is the progressive achievement of activities along the value stream, so that a product or service proceeds without stoppages, defects or backflows. Pull : It is a system of cascading production & delivery instructions from downstream to upstream. In this system upstream process/supplier produces & delivers a product when downstream process/customer demands. Perfection : It is the endless efforts to apply the principles of lean thinking to continuously eliminate wastes across the value stream. Waiting : Idle time created when material, information, people, or equipment is not ready. Overproduction : Making what is unnecessary, when it is unnecessary and in unnecessary amounts. Producing more than the customer needs right now. Rejection/Rework/Defect : Work that contains errors, reworks, mistakes or lacks something necessary. Defect increases cost of inspecting for defects, responding to customer complaints, making repairs. Intellect : Underutilized human potential - skills, time, talents, and ideas. Waste is any activity that consumes resources but does not create any value. It is also known as non-value added activity. Those activities which create value to customer. If following conditions are fulfilled then that activity is known as value added activity. Activities which are not important from customer’s point of view but they are necessary and cannot be eliminated based on current state of technology or thinking. These activities may be required due to regulatory, legal, customer directive, etc. These activities seem necessary due to non-robustness of processes, current thinking, considering current risk tolerances. Those activities which consume resources but not create any value as per the need of customer and they are pure waste. If we don’t think to get rid of these types of NVA then they become necessary NVA. Common goals of Lean are to improve quality, increase efficiency by eliminating “waste” and decrease cost from entire value stream. But above these goals, the strategic elements of Lean can be quite complex and can consist of multiple elements. Lean as a philosophy for application i.e. lean thinking. The success key is to have plan & get started with lean because the path of lean is not straight & it never ends. Most of the organizations look at lean as only a set of tools which can be adopted as a project of mindless cost cutting. The real benefit of lean can be obtained when it becomes a way of life and is a part of structure of the organization. Lean requires change in thinking & managing change. Most lean implementation failures are not because people have not understood tools and techniques but a failure of change management. To adopt strategic lean approach, employees have to work in process related teams rather than work in their individual functions. These teams have to become self motivated & self directed, so they can pick the problems, solve them within the team rather than management picks the problems and assign them to employees to solve. Through effective coaching, management can facilitate change with the teams to remove waste efficiently. More focus shall be given on learning by doing rather than classroom trainings. To achieve effective results, put people in difficult situations and let them solve their way out of the problems. One of the key lean tools is “Value Stream Mapping-VSM”. Through effective use of this tool, we are able to create a map of both value and waste of the process. This map can be used to understand the waste and its causes. Managers of Cross-functional groups are selected for developing current state map, future state map and action plan for implementation. This will help to authorize resources and menpower for improvement actions. VSM should be applied only to specific product families that will be immediately transformed. Select specific problem and make rapid improvement in the selected problem with the help of kaizen workshop training which can be provided by experienced facilitator who knows and understands deeply about lean tools and philosophy. The selected problem can be solved within 2-4 days duration with prior planning of resources. In most of the organizations, management structure is derived based on process or function, but nobody is responsible for the entire value stream. So select value stream managers who have real leadership skills and a deep understanding of the product & process and must be responsible for creating value for customers and must be accountable to the customer. To build synergy and to move positively ahead in lean journey, derive a communication & feedback mechanism to involve each level of employees to share their improvement ideas. If an organization looks at lean transformation initiative as employee’s voluntary participation activity, then it will simply not happen. So make it mandatory for employees and give them space & chance to think about improvements. Organizations act promptly in lean movement during crisis but as crisis passes then go back to routine practice of business as usual. To overcome this, organization’s leadership has to stay focused on Lean for long term – not just to solve one problem. Survey results say that middle management resistance to change is the number 1 obstacle for implementation of lean. So organizations have to mentor & coach properly to middle management for creating faith in them about lean philosophy. This results in effective implementation of lean. When an organization does not believe in the lean philosophy then it is important to achieve some big wins. So religiously dedicate time to identify improvement opportunities. 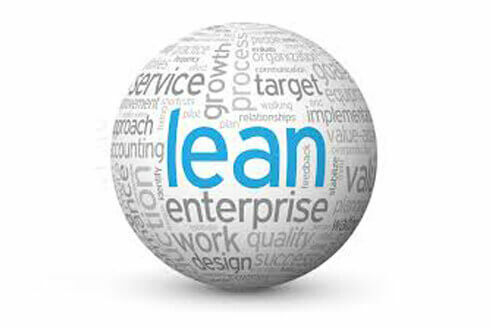 This will play important role for convincing people, that lean really can make an important difference. Eliminate non-lean metrics that are playing disturbances with those seriously invested in improving operational excellence. Next Measure a variety of value stream metrics from lead time to inventory levels to first pass quality. Instead of blindly copying the tools, system or methodology of other successful organizations, develop your own system. Lean will cut functional/departmental boundaries which will eventually lead to a restructuring of responsibility for the major business processes rather than the current functional ownership of a department’s activity. The importance of this step is to provide appropriate atmosphere in which the team can implement lean. The prime aim of this approach is to create a core group of people who are trained in the lean tools and techniques. This core group has experienced lean through hands-on application and after that they can help others to create lean processes in the organization by transferring their knowledge. All top management leaders must understand the lean approach in detail and know how to involve people in this journey. If they do not drive the lean transformation, it will not happen. Also for sustenance of achieved results, organization has to develop monitoring system of result & process performance. Be liberal toward mistakes committed in lean environment with a supportive and learning attitude. Have patience for getting the results and try to create a blame free supportive environment. Have courage to take risks at crucial stages to push things and provide necessary resources to achieve planned activities along with results. 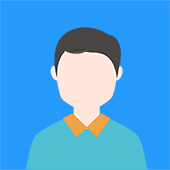 An organization needs Lean expert to provide technical assistance and change management advice when it is trying for the first time to help and facilitate the lean transformation, to get quick results and building the momentum. An organization has to get lean knowledge from this expert rather thinking that the expert will do it for you. To develop the lean culture, organization has to build internal expertise of senior executives, improvement experts and group leaders who believe in lean philosophy and will spread lean culture throughout the organization over a period of time. This approach is essential as learning without implementation is waste for all. At this stage the role of middle management facilitation is essential to deliver on time results as per the plan. Adopt real time data tracking methodology and ensure all processes have key measures and decide review frequency of these key measures & religiously review at the decided frequency. Visit other organizations who have successfully implemented lean to get ideas and understanding of the lean concepts. The lean implementing organizations are delighted to present their lean implementation progress, so try to use this opportunity for learning. The success story of other organization will help to build synergy in the employees because “Seeing is Believing”. Formation of Steering Team is essential for Lean Transformation journey. This team would be responsible to provide support in the planning, resource provision, implementation and follow-up. This team will play a crucial role to resolve inter-departmental issues with the support of internal & external experts. Lean is not one time project. It is an essential journey of continuous improvement for organizational & individual growth. When you have optimized your process, then start again for more optimization. The aim is to build a culture of continuous improvement for sustainability.